I always check my emails first thing in the morning, I have a Yahoo email account so of course I get an email from them with their idea of the stories I may be interested in. This morning included in that list was a story by Susan Yoo-Lee entitled "5 Things to Skip at Disney World to Cut Costs." Obviously I was intrigued so I opened it. It didn't take long to realize that Susan was not a die hard Disney fan. So I would like to take this opportunity to offer my rebuttal to Ms Yoo-Lee's suggestions. "I really wanted to like the food at all the theme parks, even the pricier ones at the World Showcase at Epcot, but the food was on par with hospital cafeteria food. Now the worst part of it all was the price. For three adults and two kids, our average bill was $70. That is way too much in my opinion." I would love to know what restaurants she and her family dined at (and what hospital serves Disney quality food). Let's be honest, food at any theme park or event is pricier than McDonalds or Pizza Hut. Price aside, did she do any research as to the restaurants that Walt Disney World has to offer? I doubt it, the fact is Disney makes it easy - you can find full menus and PRICING on the Disney website. I also doubt that she dined at a table service restaurant, she probably has quick service dining and while Disney offers some of the best quick service food of any theme park you have to admit that table service meals are a definite upgrade - some more than others. I have had some great dining experiences at Walt Disney World, especially at the World Showcase in Epcot. P.S. Had she stayed in a Disney Resort she could have gotten a dining plan, just sayin. "Also, make sure to take your own water with you because spending $3 on water will make your stomach hurt." Hello, Disney will give you a cup of water for FREE for any quick service counter - and have you ever gotten a bottle of water at a professional sporting event. $3 is pretty much the norm. 2. Limit your Disney memorabilia. "Of course you're going to want to take some Disney memorabilia home with you, but you'll quickly realize that it comes with a price. Before buying anything, make sure you have a plan, especially if you have children, because everywhere you go, there will be something to be bought." I probably have the least problem with this statement than any other. Yes, there is merchandise to be bought - it's a theme park. My local zoo and AAA baseball them have merchandise. You have to go with a budget in mind and stick to it. There are more options than Susan mentioned - Pin Trading with Cast Members would be a memorable experience as well as Pressing Pennies throughout the parks. Pressed pennies are cheap and don't take up a lot of room in your suitcase either. 3. Take disposable ponchos with you. "Since our vacation happened to land on a rainy week, there were a lot of off and on showers. For the most part we walked around getting drenched, but we didn't have to...The ponchos at Disney,,,cost $9." Again - RESEARCH. Who doesn't know that it rains a lot in Florida, especially in the warmer months! If you plan correctly and do your research (or book with Guru Travel) you know to bring a poncho with you, but even if you forget $9 is not an astronomical amount to pay for a poncho. Also, there are things to do at Disney INDOORS. Go see a show, ride one of the dark rides, ride the Monorail - if you stay on property go take a break in your resort room. While it may rain almost daily in Florida, the showers are usually over in a half hour or so. 4. Will you really use the park hopper option? "I added the park hopper option to our base tickets and we didn't park hop at all. It was wasted money for our family...For a newbie, there's so much to look at each park, I personally think it's a waste." Key word here - "newbie". I think everyone who is planning a Disney vacation should do their research, or better yet use an Authorized Disney Vacation Planner (like Guru Travel). There is a lot to see and do and if you go without a plan you are not going to get your money's worth - Park Hopper or Base Ticket. I like the Park Hopper option because my family may go to Hollywood Studios and decide to have lunch at World Showcase or visit Animal Kingdom then visit Magic Kingdom after dinner for Wishes and the Electrical Light Parade. Again, research and planning are the key to knowing what is right for you!! 5. Save yourself the $17 in Disney parking. "The first day after a long flight, I decided to pay $17 to park at the theme park lot. While you can go from each theme park lot without repaying the fee for the day, since we stayed in the one park, it really didn't apply to us. 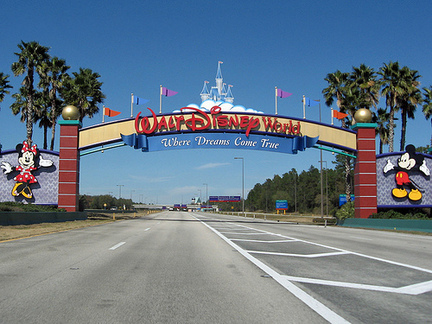 Most non-Disney resorts offer free shuttle to and from the park and all Disney resorts offer free transportation for guests as well..."
I know I sound like a broken record but, if you stay at a Disney Resort you can park for FREE. Take advantage to the FREE transportation Disney offers to the parks, Downtown Disney and you can even do a Resort Tour. I love that I can go to Disney and park my car and I don't have to get back into it until I am ready have to go home. The resort transportation comes at a reasonable schedule, is clean and dependable. Take advantage of it. Finally, I would suggest that while Ms Yoo-Lee is good at saving money, maybe planning a Walt Disney World vacation is not her forte. I challenge her to try visiting Walt Disney World again, this time staying on property and having a game plan (email me donnakay@thewdwguru.com). Take advantage of 180 day ADRs, FastPass+ and all the amenities that come with the joy of immersing yourself in the complete Disney experience. As a newbie it is very easy to get overwhelmed, that's what a Travel Professional if for - we take away the stress so you can have more fun! Thanks for letting me get that out of my system! Very well said. Its a resort, food at ANY resort is not a value meal, though with some research you can find some meals that are best value for the dollar. I shook my head when I read this article. Julie, her article drove me NUTS!! I was really wanting to scream at her through the screen. Thank you Beth! It sounds that way to me too, if you visited WDW website, pinterest or even google you would get more information than she apparently had before going on vacation. And the fact that it was posted on Yahoo really made me that much more frustrated, this just feeds into the idea that Disney vacations are way too expensive. A little research and you will find that there is a way to visit Disney on any budget - and have a better time than she did. I agree with you, mostly. It seems that she didn't do her research before her trip. A Disney vacation is expensive. Everyone knows that. We live far away, but we have been to WDW 5 times with kids and without. Many of us that live far away save up for this trip for months, if not years, and you absolutely need to know what to expect when you get there. We have stayed on Disney property, but usually, stay right off-site at our timeshare, so we don't pay for hotel. Sometimes we split it up and do a few days on and a few days off. We like the timeshare because it's free for us, it's a lot bigger than a hotel room, and it has a full kitchen, so we eat breakfast in the condo and buy lunch and dinner. Some days, we don't even eat dinner because we have lunch so late. We always plan one or two special dinners, usually in Epcot at Japan's Benihana-style restaurant or Morocco's restaurant (great food and belly dancers!). For the money we save on hotel, we get a rental car and pay for parking. We never get park hopper tickets. The parks are way too far from each other to make park hopping feasible. It's not like Disneyland in California, where the other park is just a short walk away, so it's just not worth the extra money. Last trip, we purchased 8-day, non park hopping tickets and did 2 days at each park. It was much cheaper than even a 5-day park hopper and we got to see everything we wanted to see. We always plan “off” days to rest or swim or play mini golf or go to a non-Disney attraction (Universal’s Wizarding World of Harry Potter is a must-do). One trip, we went to the Grand Floridian to attend a high tea (highly recommended!). On our last trip, we left Orlando for a few days and headed over to Cocoa Beach, where we rented an apartment and visited the Kennedy Space Center, swam in the Atlantic and even got to watch a rocket launch! Water is free for the asking. There is no need to buy bottled water, ever. Souvenirs are a must and there are items for every budget. Bottom line, this lady simply didn't do her homework, and was completely unprepared. Best to know what you're getting into before you book that airfare next time! Sounds like you have your Disney vacations down pat. I will add that putting away money into a Disney Vacation Account is a great way to save a little each month that's already earmarked for Disney. Disney is not a fly by the seat of your pants vacation, that's the bottom line. You have to do your research and plan. But there's no other place I would rather go on vacation!! Nuts is right, Donna! Who goes on vacation and doesn't think to check the weather. Heck, I'm not going anywhere this weekend and I know if it's going to rain. Great rebuttal! I know we watch the weather at least once a day - not to mention my weather app!! I think I saw her article but passed it by. Going to Disney can be expensive but like you said you really need a plan. I've been going to WDW since 1970 (preview center) and I still try to make a plan. And it does rain there a lot. I carry a poncho for that too. By the way -- Love you rebuttal! Thanks Disney Dad! She sure ruffled my feathers, I really wanted to go Donald on her!